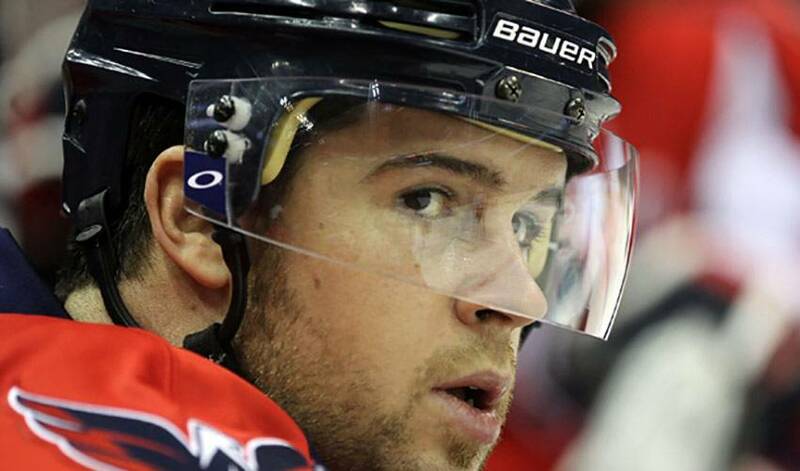 With his biggest fear out of the way, Mike Green is primed and ready to take his best shot at the upcoming NHL All-Star Game in Carolina. Aside from the honour that comes with being named an alternate captain for the annual All-Star contest, Green, one of the game's most notable offensive defencemen, is grateful the nomination won't allow him to be put in an unenviable position at this year's event. With a new All-Star format in place, one that will see two captains (Eric Staal and Nicklas Lidstrom) choose players from either conference to make up the two teams, Green, the 29th overall selection of the Washington Capitals, won't be losing sleep worrying about being the last pick. The former Saskatoon Blades standout broke out as an offensive sparkplug in 2007-08, a perfect complement to a forward corps that featured forwards Alexander Ovechkin, Alex Semin, and Nicklas Bäckström. Green finished the season with four-game winning goals to go with his league-leading 18 goals among defencemen and 56 points. The Capitals made the playoffs for the first time since 2003 that season and in his first career NHL playoff game on April 11, 2008, against the Philadelphia Flyers, Green rallied Washington from a 4–2 deficit with two tallies in the third period as the Caps went on to get to the win. He was just as impressive in 2008–09, despite being plagued by injuries early in the season. Upon his return, Green captured back-to-back NHL Third Stars of the Week for the weeks ending February 1 and 8, 2009. On February 14, he netted a goal in his eighth consecutive game, setting the NHL record for most consecutive games with a goal by a defenceman. The past mark was set by Mike O'Connell in the 1983–84 NHL season. After being named the Second Star of the Week for the week ending March 23, he became just the eighth blueliner in league history to score 30 goals in a season. He totaled 31 tallies on the season, including 18 on the power-play, one shy of Sheldon Souray's 2006–07 record of 19. Last season, Green had 19 goals and 76 points, along with a plus-39 rating. Washington, however, failed to live up to their status as Stanley Cup favourites, bowing out in the first round at the hands of the Montreal Canadiens. While the playoff picture is far from clear and there are plenty of questions to be answered as the post-season push heats up, Green's toughest challenge, at least for now, is in how he'll help his All-Star captain plan their roster. Does that mean he wouldn't mind facing off against a three-time Ted Lindsay Award recipient? Green is happy to have Staal on his side. But, as always, Green will bring out his best when he takes on the best in Carolina.